2018- Pamukkale University, Faculty of Education Prof. Dr.
2013-2018 Pamukkale University, Faculty of Education Assoc. Prof. Dr.
2004-2013 Pamukkale University, Faculty of Education Assist. Prof. Dr.
2002-2004 Muğla University, Faculty of Education Assist. 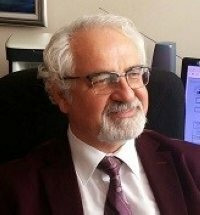 Prof. Dr.
1997-2002 Çukurova University, Faculty of Education Assist. Prof. Dr.